Woodworkers of all ages and experience are invited to enter the Great Lakes Woodworking Festival’s Project Competition in Adrian, MI. The competition is meant to celebrate some of the newest and best designs from woodworkers around the great lakes region. Winners will be announced on May 5 at the festival’s main stage. Awards will go to the top three winners of each category. Cash prizes will be awarded for the first place finishers and peoples choice award. 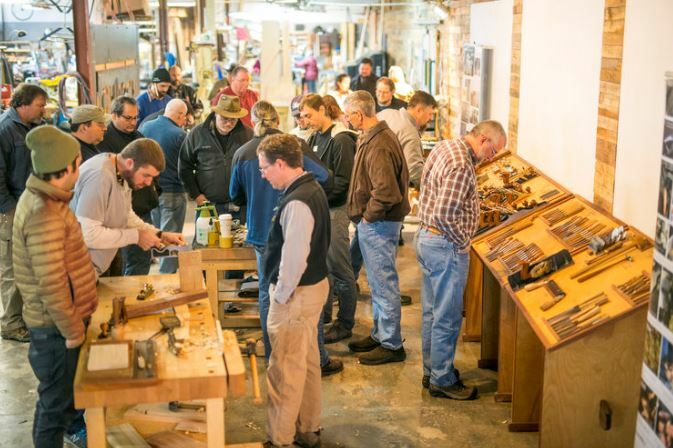 The Great Lakes Woodworking Festival is organized by the Sam Beauford Woodwork Institute, an EDUcation member of the Woodwork Career Alliance of North America based in Adrian. The two-day fest, May 4-5, is free and open to the public. Approximately 5,000 people attended last year’s event. Learn more about the Great Lakes Woodworking Festival.